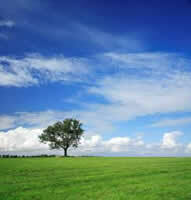 We all need and desire clean air to breathe. Although great strides have been made to improve air quality in Southern California there is still a great deal of improvement needed. The South Coast Air Quality Management District (AQMD) is the air pollution control agency for most of Southern California and they provide helpful resources regarding air pollution and reducing your personal exposure. Visit their website at www.aqmd.gov for current air quality conditions, forecasts and restrictions. Also, at aqmd.enviroflash.info, you can download the AQMD app for iPhone and Android or sign up for Air Alerts to be notified when there is a no-burn alert issued for the area. If you have questions regarding air pollution or ways you can help, contact the AQMD at 909-396-2000. 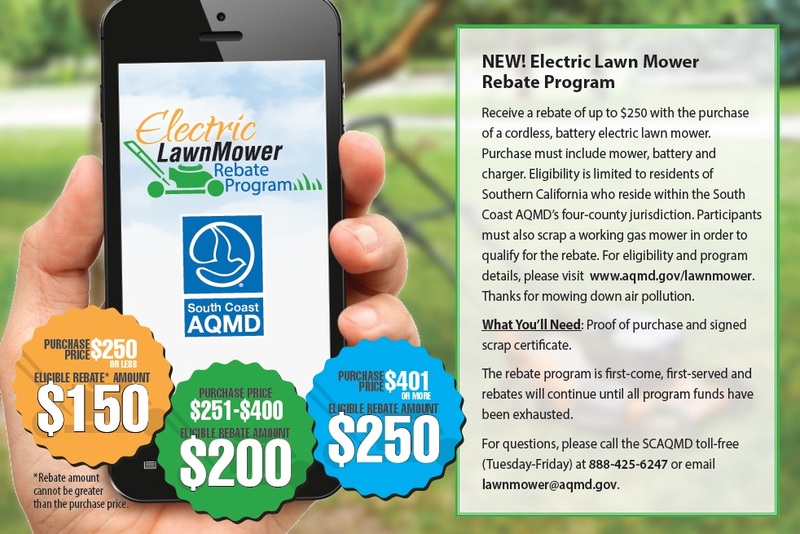 The South Coast AQMD offers a year round Electric Lawn Mower Rebate program for residents of Los Angeles, Orange, Riverside and San Bernardino counties. Residents can purchase a new, cordless electric lawn mower, scrap their old gas mower and receive a rebate check based on the purchase price of their new mower. Help improve air quality by participating in the Electric Lawn Mower Rebate Program. The online application is available at www.aqmd.gov/lawnmower. After purchase, rebates are $150, $200 or $250, depending on the purchase price of the new electric lawn mower. For more information please call (888) 425-6247 (Tuesday-Friday). Se habla español.